Australian Sky can tailor-make your next holiday whatever your budget. Magnificent beaches, alluring seaside towns, luscious rainforests, sweeping wineries and lively cities – Australia is full of splendour, and what better way of exploring it all than a brilliant scenic drive? With the wind in your hair and the music turned up loud, Australia’s driving routes offer the perfect terrain for a self-drive trip to remember. Inspired by the autumn 2016 release of Forza Horizon 3 - the exhilarating Xbox car racing game where you and your friends can whizz through Australian landscapes in a battle for first place – what better time is there to tell you about the enticing scenic drives on offer in the land down under that the games' race locations are based? Where: This captivatingly barren landscape is located on the Great Australia Bight Coast, nestled in southern Australia. 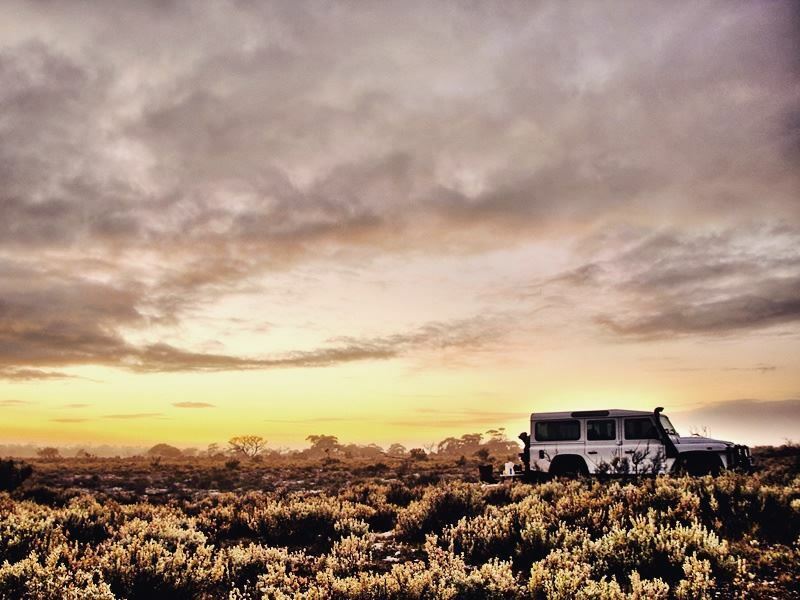 What: We sure Australia’s coast conjures up an image of golden beaches and jagged coastlines – but Nullarbor Plain paints a different picture. 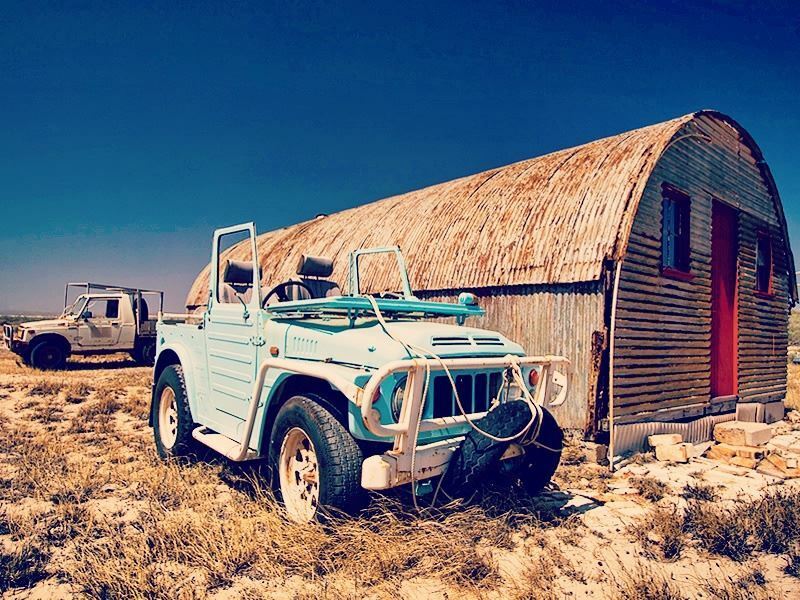 This vast area of flat, semi-arid landscape is truly jaw-dropping, especially as you drive across its rusty orange desert plains, visiting cattle stations and historic homesteads along the way. Best bits: Though quite desolate, this scenic drive offers wonderful wildlife viewings. Inquisitive kangaroos sit along the tracks, whilst rare birds like the Malleefowl and Major Mitchell’s Cockatoo regularly swoop over the winding Eyre highway. You could even peer over the edge of the Head of Bight for gorgeous views of the southern right whales. 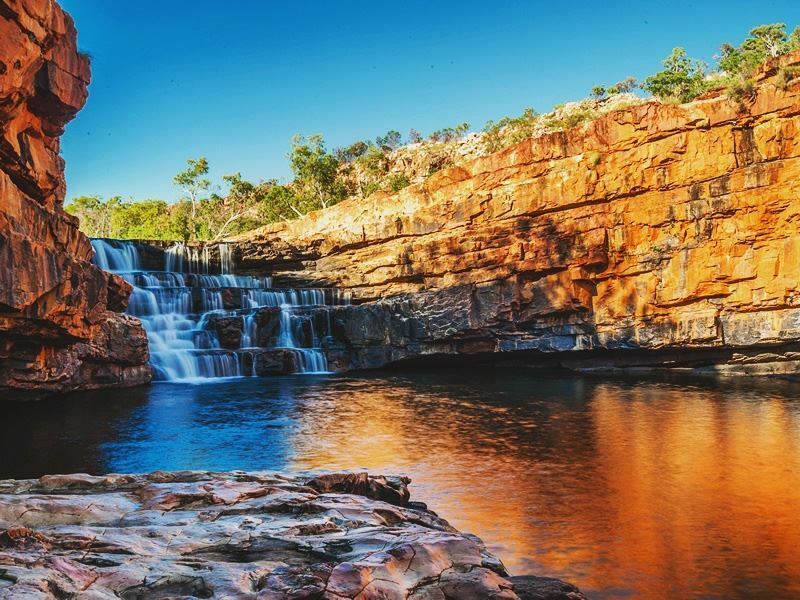 Where: This adventurous drive can be found in the Kimberley region of Western Australia, between the town of Derby and the Kununurra and Wyndham junction of the Great Northern Highway. What: Adrenaline junkies will love this rough and ready drive. One of the most famous 4x4 driving routes in Australia, Gibb River Road winds its way past Katherine, Kakadu National Park, and El Questro, offering unbelievable views of the Kimberley region’s natural geological formations, including Katherine Gorge and Mt Hart. Best bits: If you like adding a touch of adventure to your self-drive, you’ll love hopping into a 4WD vehicle and whizzing your way through Gibb River Road’s bright orange paths, regularly driving through large rivers and up dusty hills. 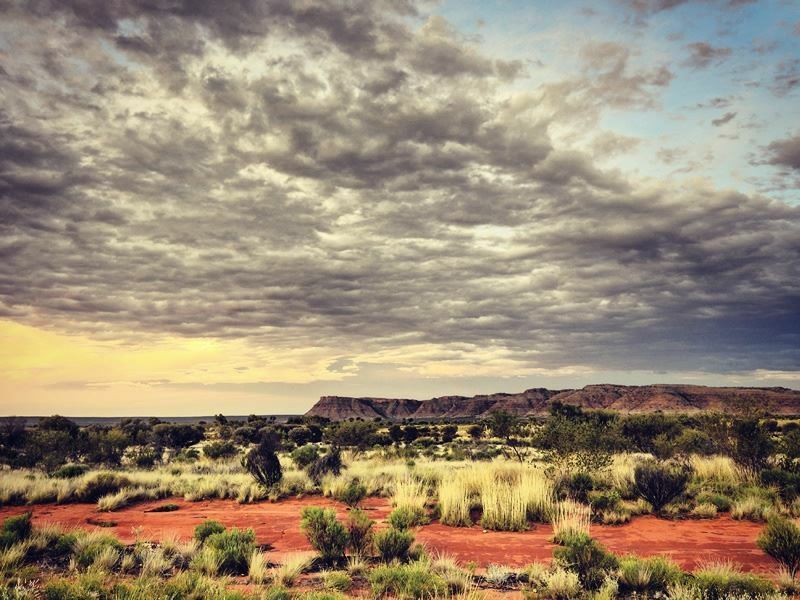 Where: This interesting drive twists its way through Australia’s Northern Territory, offering a grand tour of the very best of central Australia. 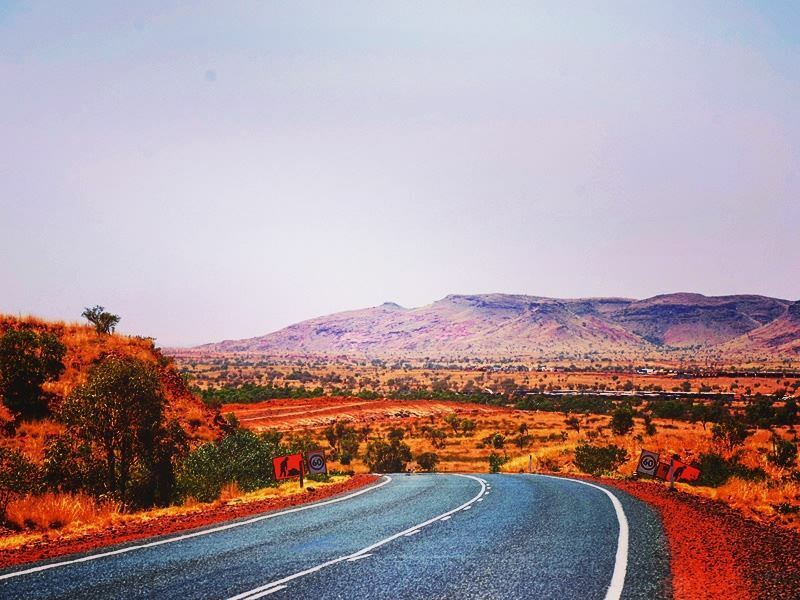 What: Once called the Mereenie Loop, this scenic drive passes by some of Australia’s iconic destinations, including Alice Springs, Kings Canyon, and Kata Tjuta, so you’ll definitely want to take a few stops-off to fully immerse yourself in the area’s vast natural beauty. Best bits: Uluru, a soaring sandstone monolith sacred to indigenous Australians, is well worth a visit along the way. This incredible scene offers one of the best sunsets you’ll ever see, so be sure to stop your car just at the right time for a view you’ll never forget. Where: Nestled in Queensland, this picturesque drive starts at the bustling city of Sydney, before twisting and turning its way up north to Brisbane. What: Queensland is brimming with charm, and you’ll discover it all on this gorgeous drive. In between the lively cities of Sydney and Brisbane lies incredible wineries at Hunter Valley, the characterful coastal town of Byron Bay, and the pretty beaches of Port Stephens. 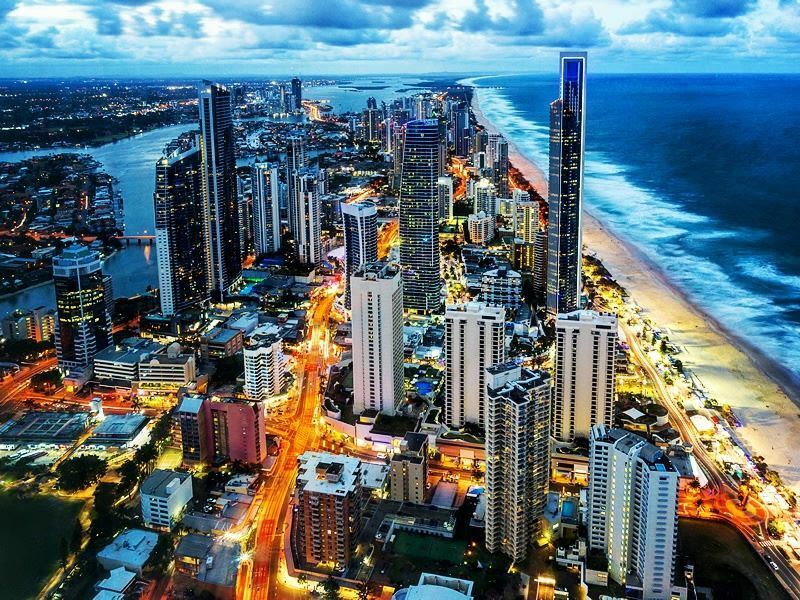 Best bits: A cool area to stop-off in between drives is Surfers Paradise, a trendy resort area sitting along the Gold Coast. With chic beaches, vibrant markets, boutique shops and gourmet restaurants, you’ll certainly enjoy the stylish seaside vibe. Where: This beautiful beach drive is located on Fraser Island – the world’s largest sand island full of stunning beaches and crystal clear reefs. What: Driving along the beach offers an awesome sense of freedom – whizzing over the sugary sands past the glistening sea is a wonderful way to experience Australia’s coast. This seaside drive also offers easy access to some of Australia’s iconic attractions, including the Champagne Pools, Indian Head, and Cathedrals – a cliff famous for its sculpted ribbons of bright coloured sand. Best bits: Fraser Island’s sandy terrain is home to a myriad of fascinating landmarks, and the SS Maheno shipwreck is one of the most interesting. 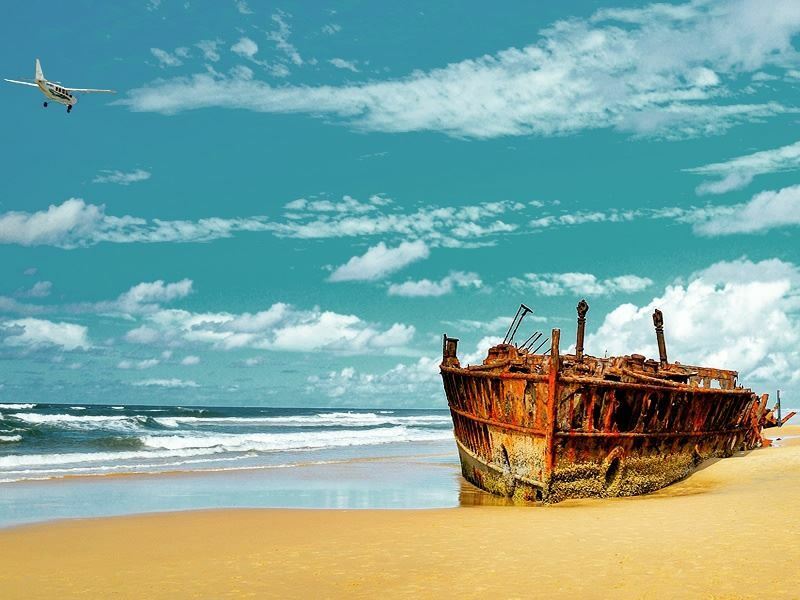 Many shipwrecks adorn the beach near the Pinnacles, and the massive, rusted wreck of this ocean liner is one you won’t want to miss. Further reading: Exploring Fraser Island. Where: This gorgeous route drives along the south east coast, starting in Sydney and ending in trendy Melbourne. What: Beginning in Sydney, this route winds between stunning natural landscapes including Lakes Entrance and Ben Boyd National Park, quaint towns including Canberra and Tilba Tilba, and even Phillip Island with its adorable penguins, all before venturing to the lively city of Melbourne. Best bits: Park your car at Yarra Valley and enjoy a wonderful afternoon taking in the vast green plains, visiting the charming vineyards, restaurants and glimmering river along the way. In fact, with so many sumptuous wineries and eateries, you might want to stay overnight! Where: Travelling south along the west coast of Australia, this is a beautiful coastal drive. What: Get ready with your camera – this picturesque route between the delightful towns of Broome and Perth offers plenty of striking photo opportunities, from the astonishing natural rock arches in Kalbarri National Park, to the crystal clear Ningaloo Reef and sweeping arid sceneries of Karratha. Best bits: Monkey Mia is extremely popular, and you’ll soon see why. The reefs here are unbelievably clear, and it won’t be long until you see wild bottlenose dolphin swimming their way to you for feeding. Shell Beach, made up of billions of tiny white shells, is simply breath-taking. 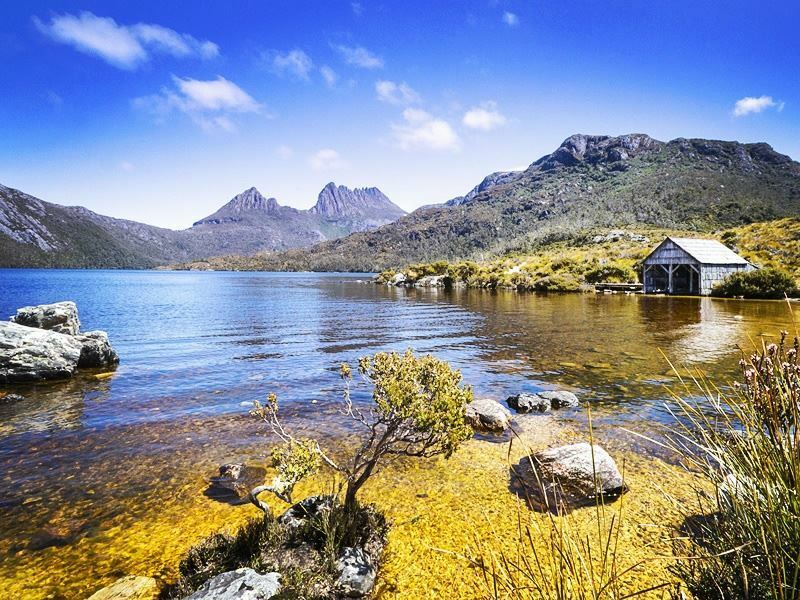 Where: Venture to the isolated island of Tasmania for this naturally stunning driving route. What: Best as a circular journey from the city of Hobart to Freycinet National Park and back again, the wildlife and beaches along this drive are truly unforgettable. Best bits: To take this drive and not visit the National Parks would be a farce – each park is brimming with incredible fauna and flora just waiting to make your jaw drop. Journey to Freycinet National Park for wonderful views of granite mountains and topaz blue waters, and hop into Cradle Mountain National Park for pretty walking trails through ancient rainforests and sparkling lakes. Where: This colourful route takes you through the Daintree region of Tropical North Queensland. What: Your Australian self-drive will take a tropical turn on this bright and beautiful route. 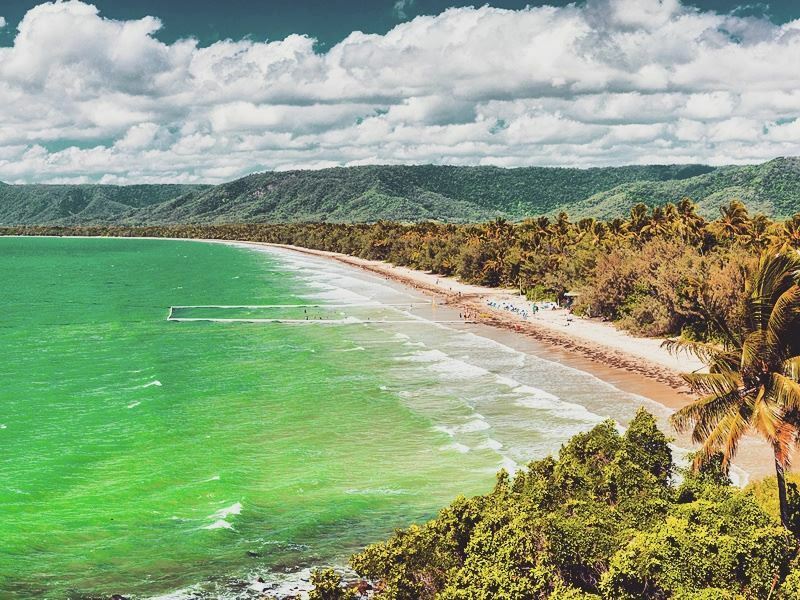 Darting through the Daintree Rainforest and past Mossman Gorge, you’ll be met with amazing views of towering trees and trickling rivers, all before driving through the coastal town of Port Douglas full of great restaurants and white sandy beaches. Best bits: It’s just not a trip to Tropical North Queensland without a visit to the Great Barrier Reef. This World-Heritage listed site is just as dazzling in real life as it is in the photos, so we definitely recommend donning your scuba diving gear and plunging into its enticing waters in search of turtles and tropical fish. 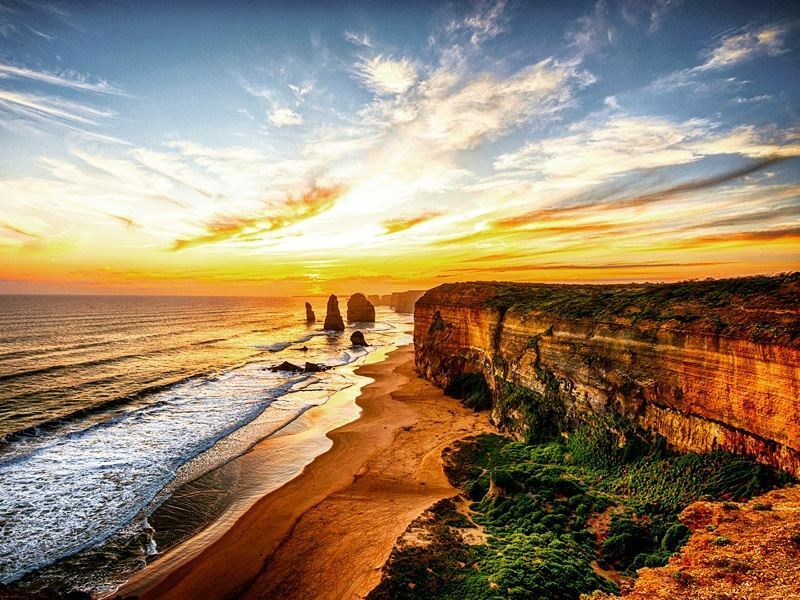 Where: The well-known Great Ocean Road follows the south-eastern coast of Victoria, running from Torquay to Allansford. 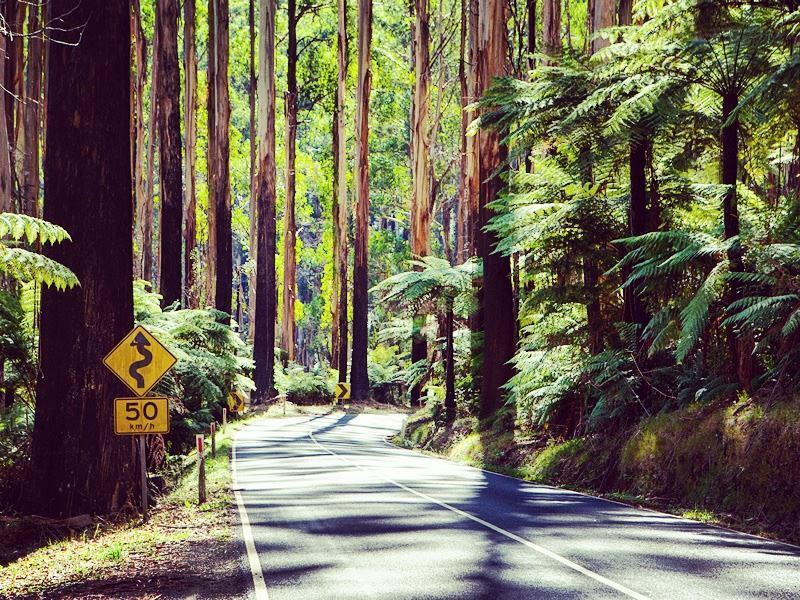 What: Home to sandy beaches, quiet fishing villages, verdant rainforest and koala adorned tree canopies; this impressive drive deserves its fame as one of the best driving routes in the world. Stretching more than 150 miles, there’s plenty along the road that will keep you entertained, including wineries, great surfing beaches, and brilliant rainforest walking trails. Best bits: The best view you’ll see out of your window, the Twelve Apostles need to be seen to be believed. A collection of limestone stacks jutting out of the water just off the shore of Port Campbell National Park; this is a truly dramatic scene. Further reading: Drive the Great Ocean Road.